First, while I am recommending books about ECT, I want to encourage you to buy the 1994 Catechism of the Catholic Church. 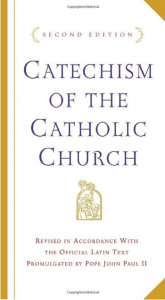 It is advertised as “the first new Catechism in more than 400 years.” It is produced by the Vatican for Catholics and is a 800 page, detailed account of what they believe. You can buy it at Barnes & Noble in paperback for 7.99. Why not read for yourself and see if Catholics and Evangelicals agree?